Carlos Ghosn: Growth in Europe next year will be between 1 percent and 2 percent. 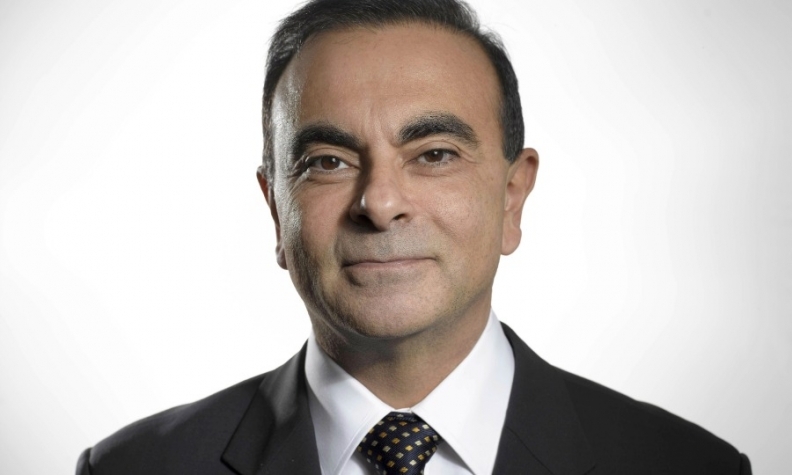 Renault-Nissan CEO Carlos Ghosn is pressing the Japanese member of the alliance to reach an 8 percent global market share by the end of March 2017 – up from a 6.7 percent share last year. Ghosn expects sales growth next year in Europe, the U.S. and China. He is also bullish about Renault-Nissan’s partnership with Daimler and proud of the role his automakers have played in the trend toward offering electrified powertrains. Ghosn recently met with News Editor Dave Guilford and U.S. Mid-South Bureau Chief Lindsay Chappell of Automotive News Europe sister publication Automotive News. What is the 2015 outlook for Nissan? What we’re seeing is a very moderate growth. Some markets will be growing, some will be stable and some will decline. The growing markets for us will be China, India and the U.S., although the rate in the U.S. will be moderate – in the range of 1 percent to 2 percent. Russia and Brazil had a terrible 2014, and unfortunately that’s not finished. Both have been shrinking and shrinking, but for us they will be stable next year. They’re not going to get worse. It’s going to be “stable-plus,” which means somewhere between 1 percent and 2 percent. It’s going to depend a lot on decisions made by the European Central Bank about how much priority governments are going to give to growth versus fighting deficits. At the moment, the jury is still out on that. Your partnership with Daimler has been expanding rapidly. In five years from now, how many of your luxury-brand Infinitis will be shared with Daimler? Will all Infinitis eventually come from the Daimler partnership? No, I don’t think all of them. It’s not a question of basing everything on our cooperation with Daimler. We can cooperate because we’re not really in direct competition. There is very little cross shopping between Infiniti and Mercedes. And if there are opportunities for us to share scale, to save on investments, to cut the time to market –why not? What are the key benefits for Infiniti? When we build our common plant in Aguascalientes, [Mexico,] we will be using our existing manufacturing base, which is one of the most competitive in the Americas. We’re going to get scale because we are bundling the volumes of Mercedes and Infiniti. We’re going to have a common assembly line. We’ll use their platform. We’ll go fast and they’ll go fast. We could have used our own platform, but it would have cost us more money and taken much more time. MAIN CHALLENGE: Turning experience in EVs into success with plug-in hybrids and fuel cells. Had you known, back in 2006 or 2007, when you were planning your global investment in electric vehicles, that in 2014 there would be a world oil glut and fuel prices would fall, would you have invested to the degree that you did? Yes. I personally don’t think they are going to stay low, but nobody can predict the price of oil. But there is one thing which is not going to change: The emission problem is getting more and more serious. The restrictions coming from regulation are going to get tougher. There is no way you’re going to meet these emissions restrictions … without a substantial part of your vehicles having zero emissions, or with plug-in hybrids. Plug-in hybrid is more an electric car than a hybrid, as you know. So we feel good about it. Obviously, we feel better when the price of oil is higher, but it doesn’t change our strategy. We still think zero emissions is a technology of the future and we’re going to need it. Are plug-in hybrids in your plan? Oh, yes. We’ll have plug-in hybrids in some of our cars. The fact that we may be promoting and leading the charge with electric, some people may be thinking it’s only about electric cars. But we’ll have plug-in hybrids, we’ll have diesel engines, we’ll have downsized gasoline [engines] with turbos. What is Nissan’s position on autonomous cars? We’ve done studies and we’ve seen that drivers want to have more time and more pleasant time. The deduction of this is more connected cars and more autonomous cars. What other technology has potential? Fuel cells without a doubt. We are developing fuel cells. We have a project with Daimler and Ford. The difference for us is that the electric car is now, and fuel cell is tomorrow. And it’s not substitutional. You have room for both, probably for different uses. The challenge for fuel cell is the charging. How’s it going to happen? The day you have an answer to the infrastructure [question], I think it will sell well as another option on the market. It’s a promising technology.